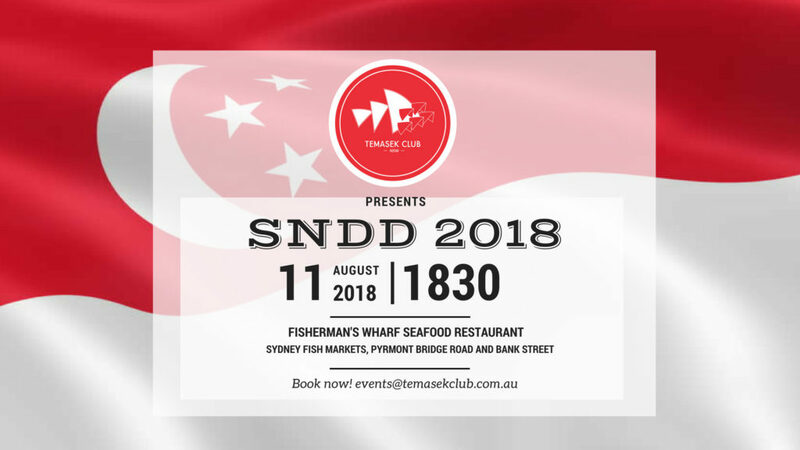 11 August - Singapore National Day Dinner 2018 - Temasek Club NSW Inc.
We will be celebrating Singapore’s 53rd birthday at Fisherman’s Wharf Seafood Restaurant with an amazing dinner at the famous Sydney Fish Market. Oh, and have we mentioned that Singapore Chilli Crab* is on the menu? Yes, it is, along with some delicious Chinese roasts, vegetable dishes and desserts! Booking starts today! Gather your kakis and book now! Each table booking will be considered as one booking and allocated one Booking Reference Number. Please provide your guest list details at the point of booking. Payment for table bookings must be made in full in a single transaction before your booking can be confirmed. Please understand that we will not be able to collect and process individual and partial payments from your guests on your behalf. Don’t forget to indicate if you are a member to enjoy member’s price! Or, join us now to enjoy member price and benefits for all our events! Step 4: Transfer your payment to the Temasek Club account via bank transfer and quote the Booking Reference Number; Please also forward us your transaction details showing payment which would enable us to confirm your registration much quicker. Step 5: We will confirm booking once we have received your transfer and payment has been verified. Parking is free at the Sydney Fish Market open air carpark from 4pm onwards. Please look out for more updates in our upcoming newsletters and on our facebook page. If you have any queries, please email events@temasekclub.com.au.